1. 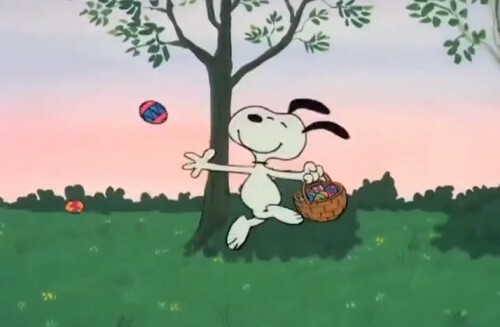 The historical accounts of where the Easter Egg originated are mixed. Some say it is connected to a pagan practice of celebrating fertility. Other accounts connect it to Mary (the mother of Jesus) who brought eggs with her the day Jesus died and his blood fell on a few of them, thus starting the coloring of the eggs tradition. Others have the Easter Egg representing the new life that comes every spring. Some say we received the coloring of Eggs from the ancient Egyptians. What we know for sure is the decorating of Eggs can be traced back to the 13th century. Eggs were one of the foods that were forbidden during Lent season in those Medieval Times. During the final few days leading up to Easter people would boil the eggs to keep them from going bad, would paint them different colors as a reminder of when they boiled them, and then on Easter (Lent being over) eat them. Eggs became a very popular food to eat on Easter in Western Culture as a result of this. 2. Have you ever wondered how Jesus was in the grave for 3 days if He died on Friday? Well, the fact is He did not die on Friday, He died on Thursday. The first day of Passover was always considered to be a Sabbath Day (a day of rest) regardless of the day it began on. When Jesus passed away, the first day of Passover was on a Friday thus Friday was a Sabbath day as was the following day (Saturday) thus they had two Sabbath Days in a row. So Jesus was in the grave Thursday evening, Friday evening (Friday being a Sabbath because it was the first day of Passover) and Saturday evening. The beginning day of Passover as a Sabbath day is one of Seven Specially called Sabbath Days that were commanded to be observed on a day other than the last day of the week. Leviticus 23 lists these special Sabbath days. 3. Bunnys do not lay eggs and Easter Beagles do not deliver them to children on Easter. 5. Eggs were once used as birth certificates. During the 19th century, if a family could not make it to a town hall quickly they would boil an egg, dye the egg according to the gender of the child (today it would be blue or pink I guess) and then they would inscribe the child’s name and birth date on the egg. Yes, back then this was completely legal. 6. 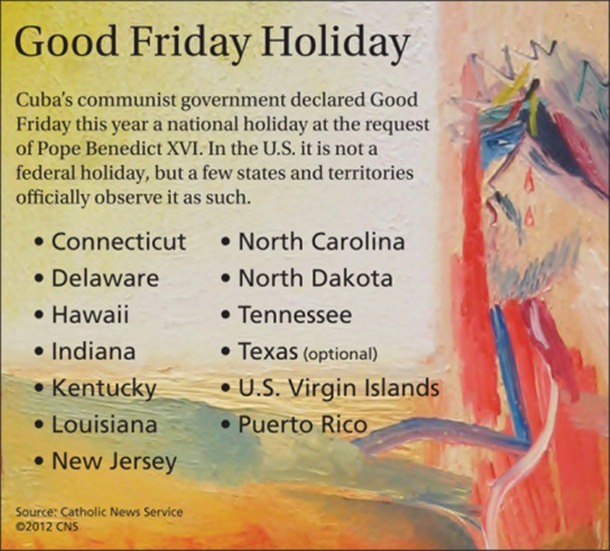 Cuba is now celebrating good Friday but only 10 US States and two territories still have it as an official holiday. 7. 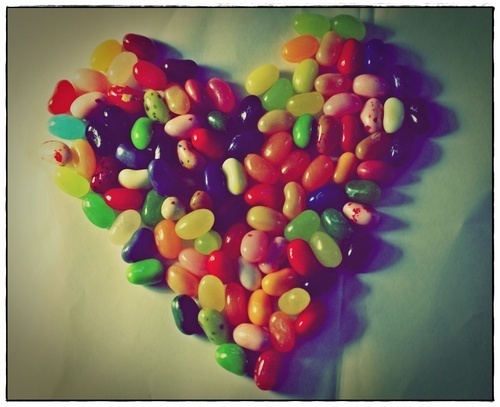 Jelly Beans were originally created by a Boston Candy maker for Civil War Soldiers. 8. The date of Easter moves each year based on the moon. In 325AD the Council of Nicaea established that Easter would be held on the first Sunday after the first full moon occurring on or after the vernal equinox. Next year Easter is early, it will take place on March 27th 2016.